Stephan qualified at the University of Pretoria in 1989. He enlisted in the South African Airforce and worked as a dental officer in several airforce bases around South Africa. He then worked as a lecturer at the Medical University of South Africa (MEDUNSA) in Restorative Dentistry and also in private practice until he started as an NHS associate in the UK, including Uxbridge and High Wycombe. In 2000 he set up Islington Green Dental Practice (IGDP) and has since been the principal dentist at this private practice. Stephan developed a special interest in orthodontics and has since made a name for himself in the FASTBRACES® community. He presents seminars all over the world about FASTBRACES®, including the UK, Republic of Ireland, Europe, Scandinavia, Canada, the USA, South Africa and India. Rory qualified in Trinity College Dublin in 1999 and has been working in general dentistry in London since then. Rory developed a special interest in endodontics over the last 10 years and now takes referrals from other dentists for this area of operation. Dr Mac Sweeney is also studying for his Masters. He has also taken an interest in surgery. He has achieved a certificate in dental implants. Rory is studying martial arts and mind-body training in in his spare time. Rory has also written a book on metaphysics, titled “The Paradox of Lucid Dreaming”. José graduated in Portugal at Fernando Pessoa University in 2006. Since early he developed an interest in Oral Surgery and Implants which lead him to specialise in that field at I.S.C.S – Norte in Portugal. He is a member of the International Team for Implantology regularly attending their meetings and congresses. He can provide implant treatments, LASER treatments, minimally invasive surgery to treat gum recession (Pinhole Surgery), Lumineers (minimally invasive veneers) and if you are a nervous patient sedation will be provided. José’s hobbies are: Cinema, books, gym, rock climbing and since he is also a “petrol head” he has a passion for cars and motorbikes. Georgios trained at the Aristotle University of Thessaloniki, Greece and qualified as a dentist in 2014. Following a year of general practice, he joined the University of Minnesota, USA as a postgraduate student in a comprehensive three-year accredited advanced education program in Periodontology and Dental Implantology. At the University of Minnesota, he obtained a Certificate in Periodontology and a Master’s degree in Dentistry and Biostatistics. 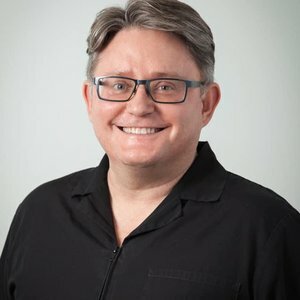 During his clinical training, he received extensive experience by treating complex periodontal disease with conventional non-surgical and surgical periodontal therapies, regenerative procedures and implant treatments on a daily basis. Georgios has supervised pre-doctoral and postgraduate students as well as conducted research that led to more than 25 publications in highly respected peer reviewed dental journals. 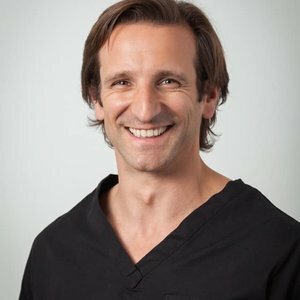 In addition, he has given numerous oral and poster presentations locally, nationally and internationally including at highly respected dental organizations such as the International Team for Implantology (ITI), International Association for Dental Research (IADR), American Academy of Periodontology (AAP) and Academy of Osseointegration (AO). Nekhil trained at the University of Sheffield and then completed the Royal College of Surgeons MJDF qualification. He completed his vocational training in the community dental service where he was trained to treat children and adults with medical problems, as well as nervous patients. He then worked in several London hospitals, in oral medicine and oral and maxillofacial surgery departments, before settling to work in general practice. He has completed a three year masters degree in dental implantology, as well as training with renown cosmetic dentist, Dr Chris Orr. He is a young dentist group representative in the British Dental Association for Essex which involves arranging lectures for dentists in the area. In his spare time he likes to keep fit and dance, and has performed in several dance groups. Monika is constantly studying about oral health and improving her periodontal treatment skills. She is passionate about promoting and maintaining oral health, employing diet and nutrients for the well-being of her patients. Monika has additional interest in psychology and holds MA degree in Counselling.